Normally coupons only apply to selected products, or all products. 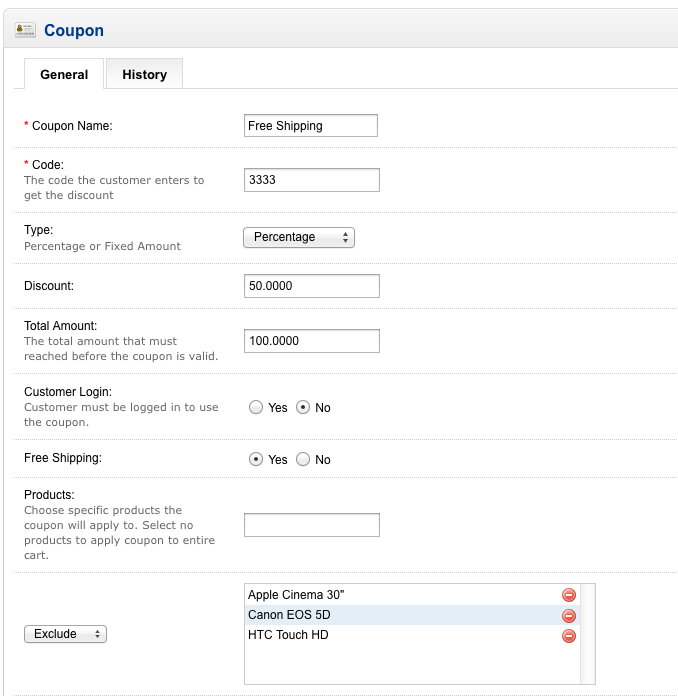 This mod adds a choice to decide whether coupon should include or exclude selected products. Great if you'd like your coupon to work for all store products except a few. 6/12/2014 • v1.1 Initial public release.